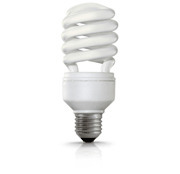 What is an Energy star rated bulb and why should I use them? – Belco Inc.
Energy Star rated lighting products are products which meet strict guidelines from the US Environmental Protection Agency, claiming energy consumption reduction by about 75 % over standard incandescent bulbs, six times longer lamp life, and reduced heat output. Here is the link to the Energy Star web page, which includes helpful charts, buying guidance, specs and FAQ’s. With so many options available, and the slow phasing out of incandescent lamps, practical application may be confusing. We are always here to help, please contact us for further assistance.